Dr. Petti is passionate about introducing her practice to emerging trends in non-surgical skin tightening technology. Recent breakthroughs have delivered exciting new treatments that eliminate discomfort and downtime. For men and women looking to tighten and rejuvenate the skin The Vivace Experience™ provides superior patient comfort, rapid healing, and incredible outcomes. The Vivace™ combines skin microneedling treatment with the application of radio frequency (RF) energy to the deeper tissues for improved skin tone, texture, firmness, and quality. The Vivace™ Microneedling RF device is FDA-cleared and offers an effective way to combat visible signs of aging and other cosmetic skin concerns for a healthy, beautiful complexion. Los Angeles plastic surgeon Christine Petti, MD selected The Vivace Experience™ for its high-quality results, innovative technology, comfort, and minimal downtime, as well as the versatility it offers. 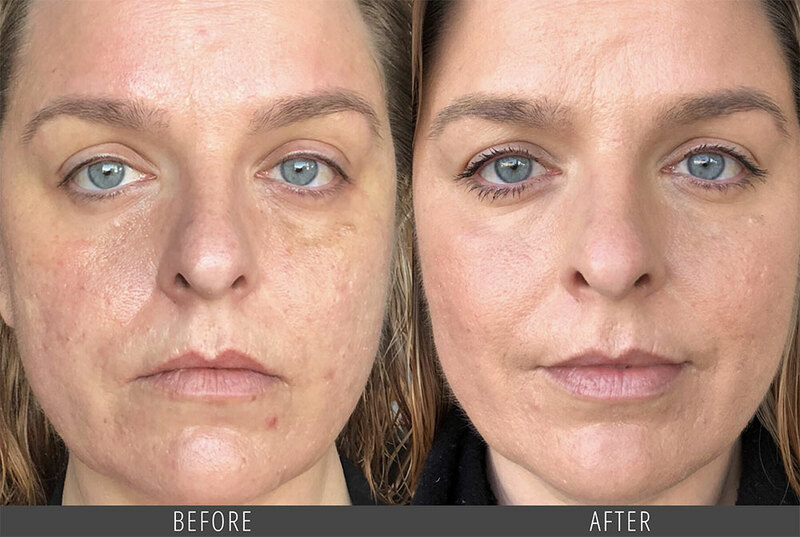 Directly after Vivace™ RF microneedling, Dr. Petti is also able to apply SELPHYL® Platelet-rich Fibrin Matrix (PRFM), an advanced platelet-rich plasma (PRP) preparation that optimizes skin healing benefits. 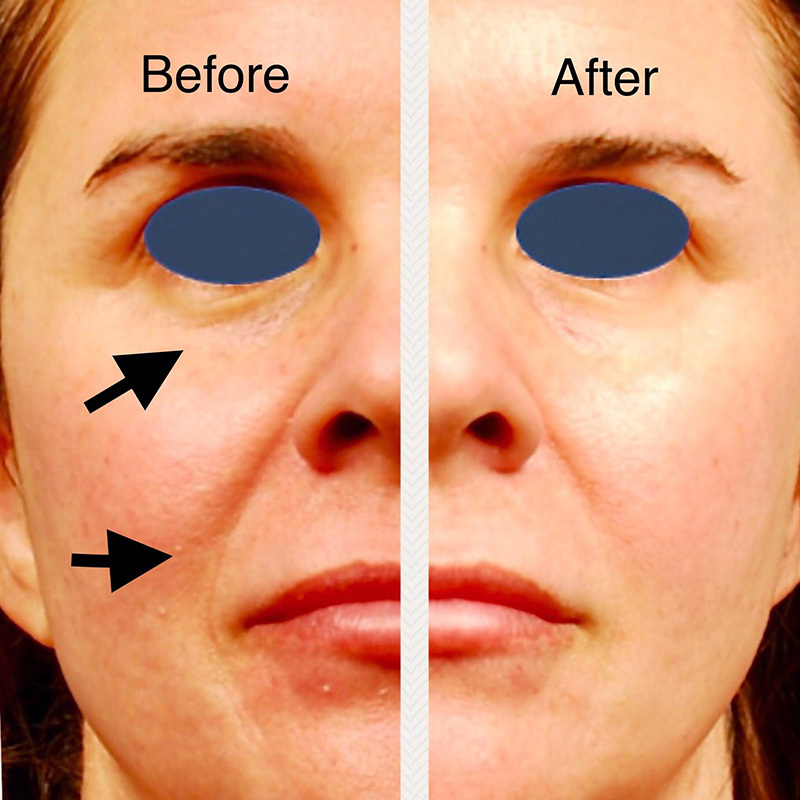 With The Vivace™, each treatment plan can be highly customized by Dr. Petti to suit the unique skin type, needs, and goals of the patient to bring about significant improvements and a more youthful glow. Dr. Petti welcomes you to learn more about The Vivace Experience™ and other non-surgical skin rejuvenation treatments she offers by scheduling a consultation. After a thorough evaluation of your skin and a discussion of your goals, you and Dr. Petti can explore which treatment options are best-suited for improving your skin. How Does The Vivace™ Microneedling with RF Device Work? The Vivace™ is a precision-crafted, state-of-the-art device that uses 36 high-quality gold-tipped microneedles to precisely perforate the skin’s surface and simultaneously apply radio frequency energy and heat to the tissues below. The heat generated by the RF stimulates the production of new collagen and elastin fibers in the dermis, which has been proven to lead to more youthful-looking skin. Additionally, the microchannels created in the skin allow platelet-rich fibrin matrix (PRFM)—created with the SELPHYL® System and a small sample of the patient’s own blood—to deeply penetrate the dermis and enhance the results of The Vivace Experience™. While some skin benefits are apparent soon after treatment, collagen regeneration will continue over time and the full results of treatment should become visible within the span of 12 weeks. For maximum skin rejuvenation, Dr. Petti recommends a series of three (3) treatments spaced approximately one month apart. What are the Benefits of Microneedling RF with The Vivace™? What Can I Expect During The Vivace Experience™? 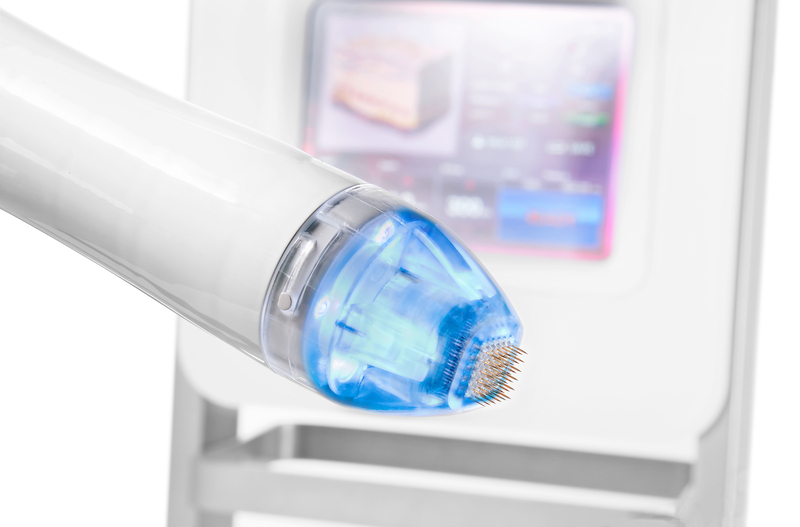 After examining your skin and discussing your concerns during a consultation, Dr. Petti will determine if you are a good candidate for treatment with the The Vivace™ Microneedling RF device. She may discuss a multitude of options depending on the unique condition of your skin. When you come in for your session, you skin is first prepared with a proprietary numbing cream designed specifically for the The Vivace Experience™. The topical cream is left on for approximately 30 to 45 minutes to desensitize the skin and prevent discomfort during treatment. Dr. Petti will set the appropriate depth and radio frequency settings on the The Vivace™ according to the custom treatment plan she developed. When ready, she will evenly treat the targeted areas. You may feel light pressure on the skin which many patients describe as being similar to light acupuncture. The majority of patients remain comfortable throughout the session. When the The Vivace™ has treated the entire area the SELPHYL® Platelet-rich Fibrin Matrix (PRFM) is applied to the skin to soak into the microchannels created by the needling. The PRFM, which is converted from your own platelet-rich plasma (PRP), holds and protects your platelets to maximize the production of growth factors during skin healing. When treatment is complete you will also be provided a recovery system filled with products designed to maximize healing and results. Thorough instructions on the proper recovery protocol will be discussed as well. What Should I Expect After The Vivace Experience™? Immediately after treatment your skin may take on a mildly flushed appearance. For about four to six hours the microchannels in your skin will be most receptive to the specific serums and recovery products you are given, and you are instructed to follow the post-treatment protocols Dr. Petti provides. It is recommended that you avoid the sun and exercise, and wait about six hours before applying any makeup. By evening, many patients are ready to go about their usual activities. You may decide to schedule additional treatment sessions spaced four to six weeks apart to further enhance the quality of your final results. Dr. Petti can recommend the most effective plan for your skin type, cosmetic concerns, and goals. While it will take time to develop new collagen, the majority of patients notice some immediate improvements in skin quality and texture. Due to the unique nature of each patient’s treatment and skin type, results typically vary. As collagen fibers form in the skin over the next three months, you should notice tightening and firming of the skin. Repeated treatment sessions can lead to greater improvement in the quality of results in most cases. Often, patients choose to combine additional cosmetic treatments, such as BOTOX® Cosmetic, dermal fillers, or KYBELLA® injections, to achieve more comprehensive rejuvenation of the face and neck. BOTOX® Cosmetic can be administered on the same day as treatment, while dermal fillers and KYBELLA® can be administered two weeks before or after treatment. 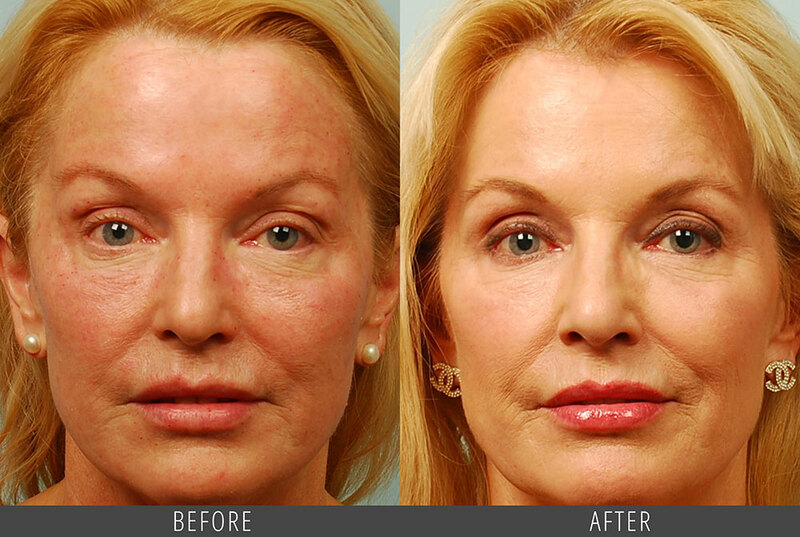 Are you interested in finding out if microneedling RF treatments with The Vivace™ are right for you? We encourage you to contact our practice to schedule a consultation with Dr. Petti for a comprehensive skin evaluation and treatment suggestions. We look forward to helping you look and feel your very best.